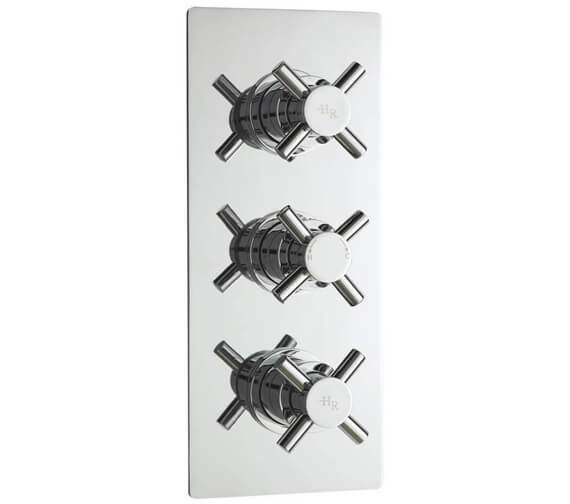 Premier presents this Triple Concealed Thermostatic Shower Valve for the discerning homeowners who only settle for the best. 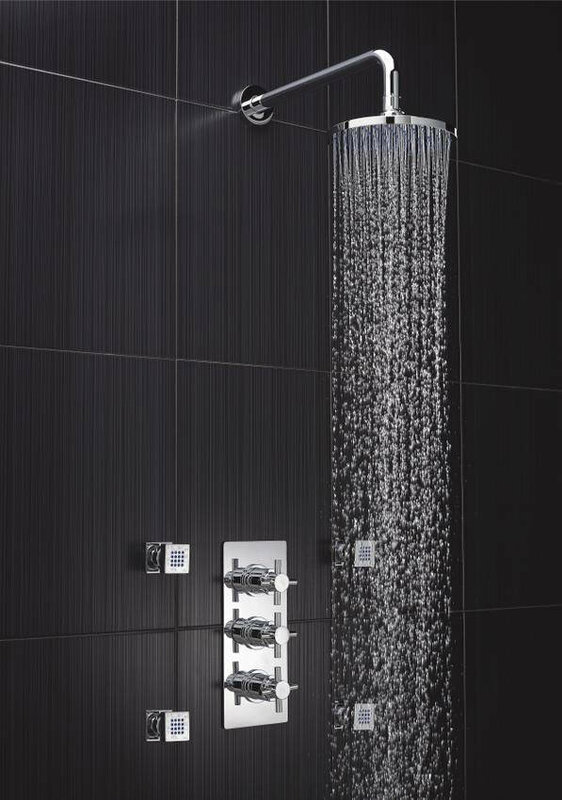 This Kristal range shower valve boasts advanced features that fulfill your luxurious showering requirements. 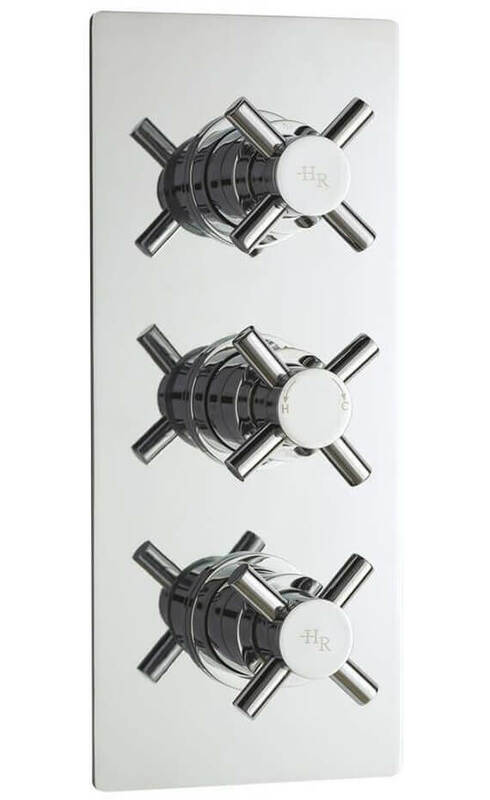 The brassware has a gorgeous design and comes with crosshead levers for ease and convenience in operation. It is supplied with a rectangular backplate and works well even under low water pressure systems. The separate controls for temperature and flow make it even more user-friendly. 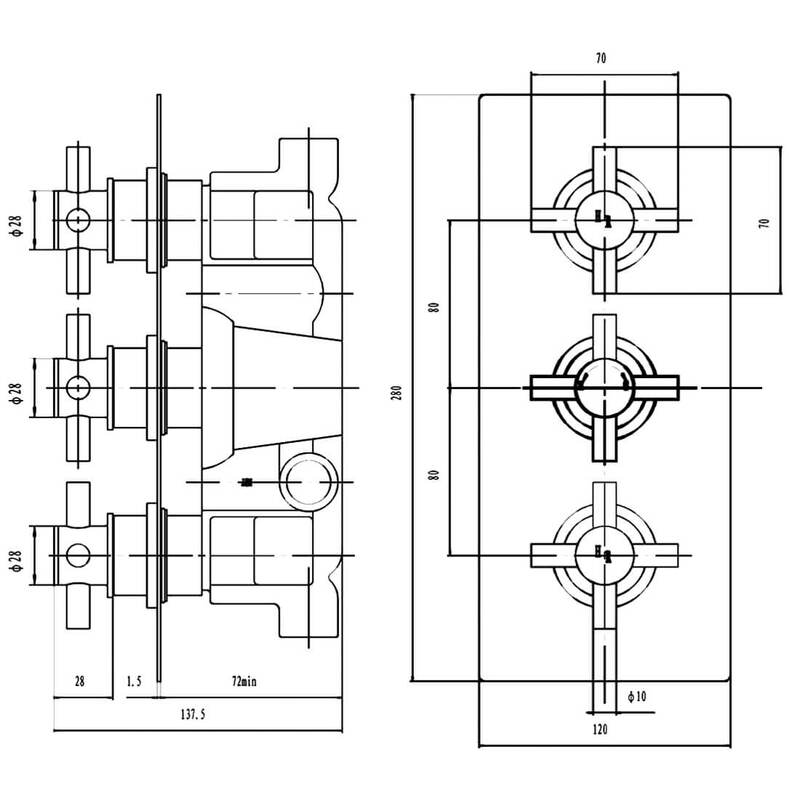 Refer technical diagram for complete technical dimensions. 20 years guarantee against any manufacturing defects.